One of the worst qualities of the human species is its dastardly view of competing tribes. For some reason, there is comfort in thinking that those outside the circle are monstrous barbarians capable of and responsible for numerous and unspeakable atrocities. Get in close with these devils, however, and you generally find they are just like you; decent, with families and a respect for routine, calmness and peace. To see things clearly, it helps to remember there are monstrous barbarians among all groups, but they are misfits who do not represent the norm. A foreigner reading history may learn about the epidemic of lynching in America, but if he visited my town he would find no one there was involved in such things, or even capable of them. Recently I read an article that a group in Egypt is clamoring for sharia law. In random thought I wondered how many who advocate this form of Islamic governance really want to cut off someone’s hand for stealing bread. Most Americans, I’m sure, will think everyone who wants sharia supports cutting off the hands of thieves, as well as death by stoning for women who have committed adultery. Perhaps I am both ignorant and naïve, but I would guess they don’t. My guess is sharia brings comfort, predictability and harmony to the lives of devout Muslims; just as the 10 Commandments and Biblical law do for reverent Christians. I do know that in secular countries, Muslims use sharia on their own to settle family and business matters – without hurting anyone. 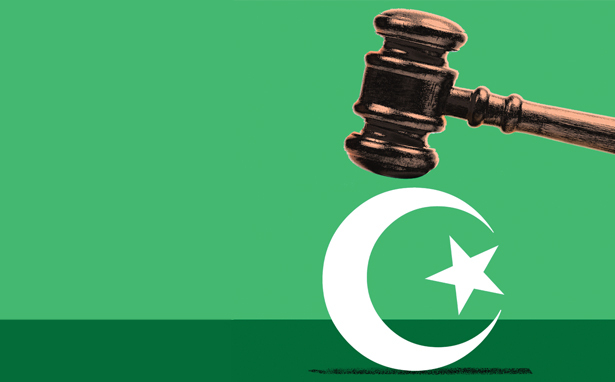 From what I now understand, sharia – like our own laws – is open to interpretation. In other words, there are ways around stoning and dismemberment. And even if there is to be stoning and dismemberment, they cannot be administered on a whim. There are rules and conditions. For example, a Muslim woman can only be stoned for adultery if she either confesses or there are four male witnesses who saw the act being committed. The hand of a thief cannot be cut off if public property was taken, or if he stole because he was hungry or under duress. The stolen items cannot belong to his or her family, must be over a minimum value, and cannot have been taken from a public place. Also there must be reliable witnesses. In short, there are fudge factors here. I believe in secular law. Still, I’d like to understand how Islamic culture works among civilized people. I don’t understand sharia but am open to learning more. Aside from the rare man willing to kill or maim his wife on any given day – and we have plenty of them in the U.S. – I don’t think Muslims routinely seek blood for justice.